A survey of predominantly North American radiologists involved in prostate MRI interpretation and urologists involved in prostate cancer management highlights numerous areas of agreement regarding prostate MRI reporting, while also identifying key differences. 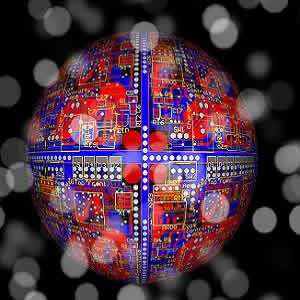 According to the study, "radiologists and urologists both show a preference for structured reporting for prostate MRI, though urologists showed greater preference for a highly structured report that includes some more detailed items, and radiologists are more inclined to include management options." 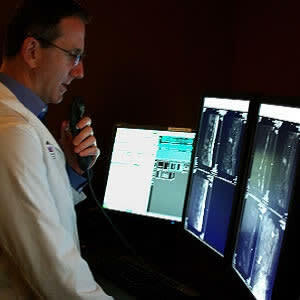 For the study, radiologist members of the Society of Abdominal Radiology and urologist members of the Society of Urologic Oncology received an electronic survey regarding prostate MRI reporting. The response rate was 12% (135/1,155) for Society of Abdominal Radiology and 8% (54/663) for Society of Urologic Oncology members. Results of the survey revealed radiologists and urologists both strongly prefer Prostate Imaging Reporting and Data System version 2 (PI-RADSv2) for prostate MRI reporting, despite urologists’ concern that it may not be as useful when used by inexperienced radiologists. PI-RADSv2 is intended to standardise prostate MRI acquisition, interpretation, and reporting. Although PIRADSv2 has shown good performance in prostate cancer detection, weaknesses of the system have been noted, and it has not been universally adopted. Survey results also showed both specialities agreed regarding major barriers to PI-RADSv2 adoption: radiologist inexperience using PI-RADSv2 (radiologists, 51%; urologists, 51%), urologist inexperience using PI-RADSv2 (radiologists, 46%; urologists, 51%), and lack of standardised templates (radiologists, 47%; urologists, 52%). However, the specialities disagreed regarding whether reports should include the following management recommendations: targeted biopsy (radiologists, 58%; urologists, 34%), follow-up imaging (radiologists, 46%; urologists, 28%), and time interval for follow-up imaging (radiologists, 35%; urologists, 16%). There was also disagreement regarding report style: 54% of urologists preferred fully structured reports, whereas 53% of radiologists preferred hybrid structured and free-text reports. "A concern has commonly been expressed that implementation of high-quality prostate MRI is challenging outside of academic medical centres and that this challenge has limited the adoption of prostate MRI throughout community settings. Data from our survey support this view," researchers say. 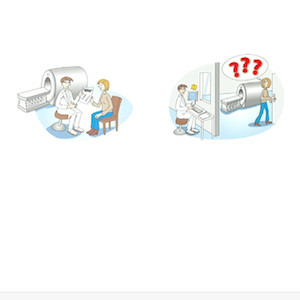 For instance, researchers note that radiologists at academic medical centres were more likely to report understanding the implications of PI-RADSv2 and that the system helps prostate MRI reporting, whereas radiologists not at academic medical centres were more likely to report an incomplete understanding of PI-RADSv2 by ordering physicians. In addition, urologists at academic medical centres were more likely to report that radiologists use PI-RADSv2 correctly. "More rigorous efforts directed at radiologist-urologist collaboration, including in community settings, are warranted to help optimise the effect of prostate MRI reporting in patient care," according to the researchers.